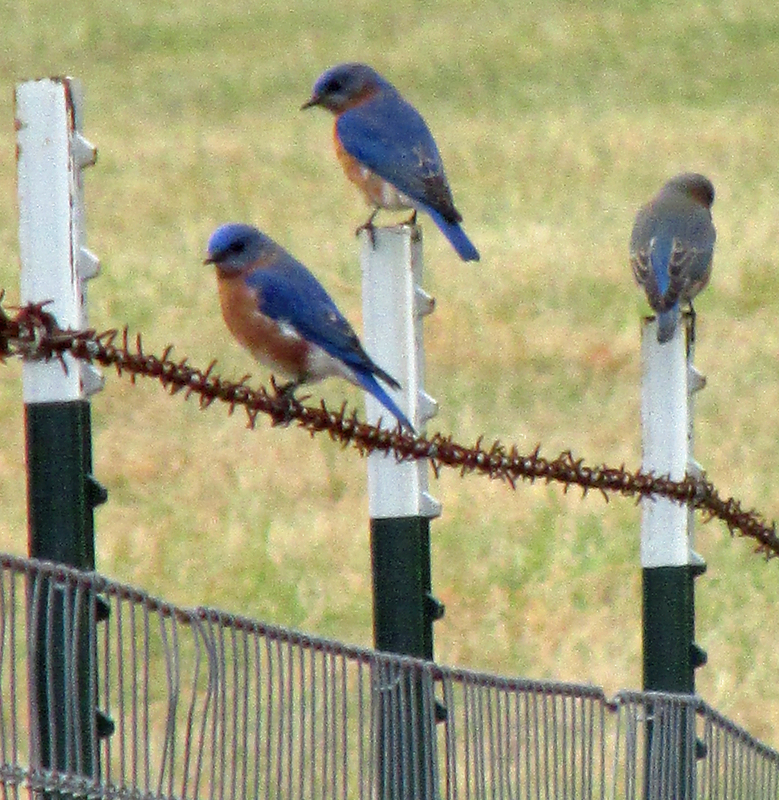 Eastern Bluebirds perch on a fence. 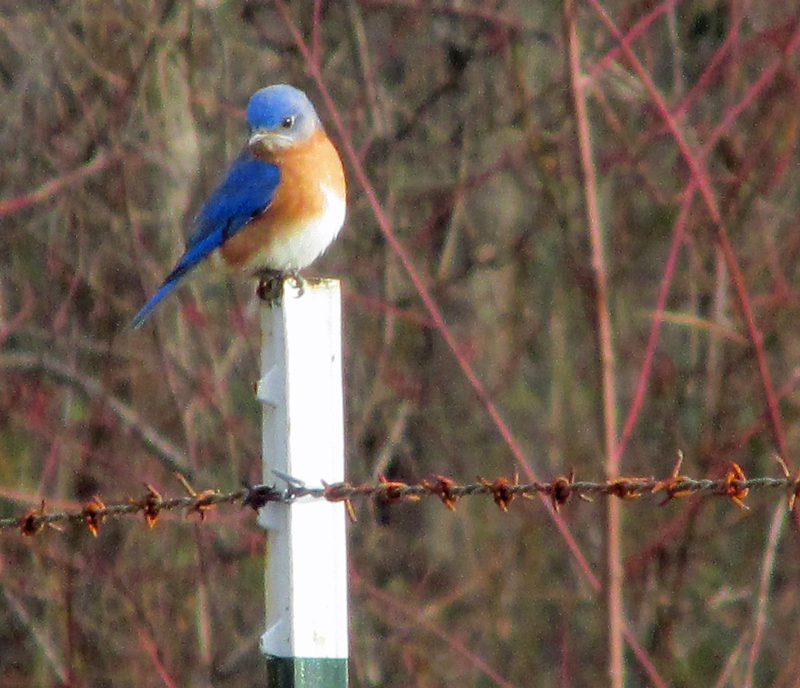 Male Eastern Bluebird surveys his surroundings from a fence post perch. 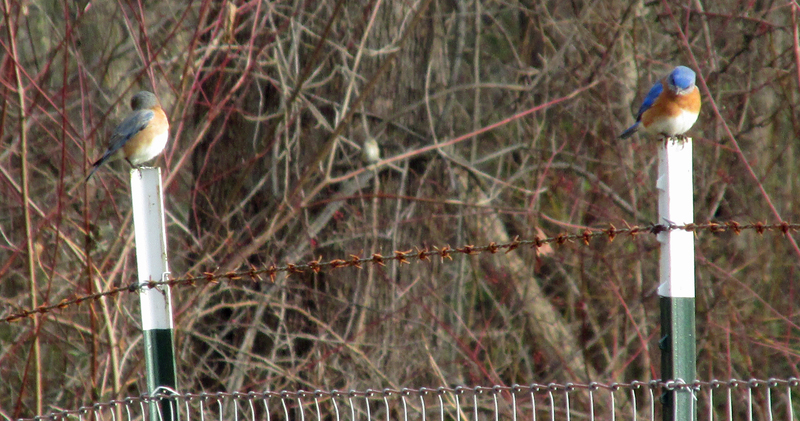 Eastern Bluebirds enjoy sunshine on a recent January afternoon. 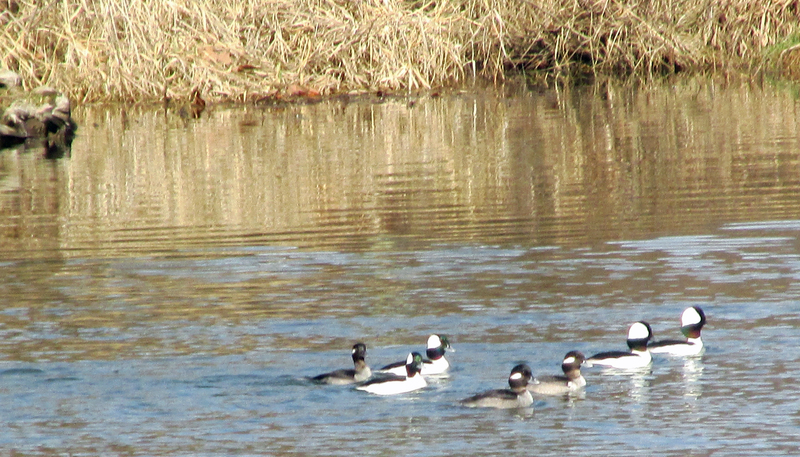 A flock of Buffleheads on the Watauga River. 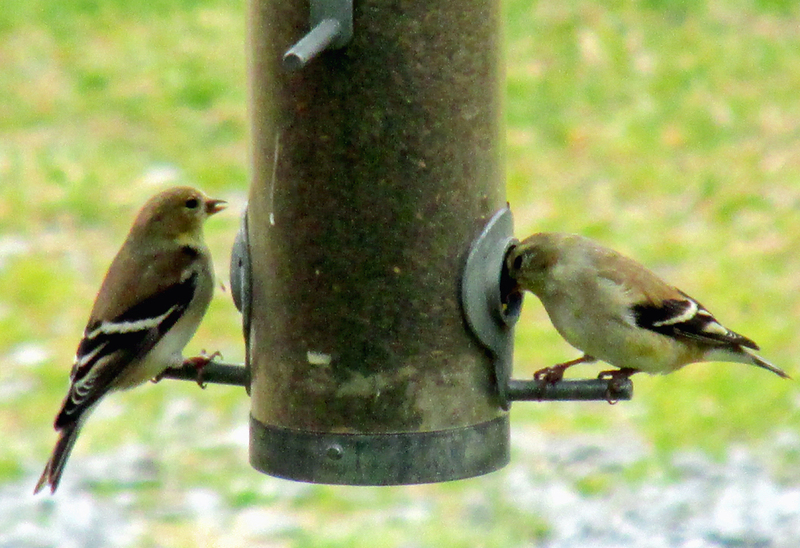 American Goldfinches visit a feeder. 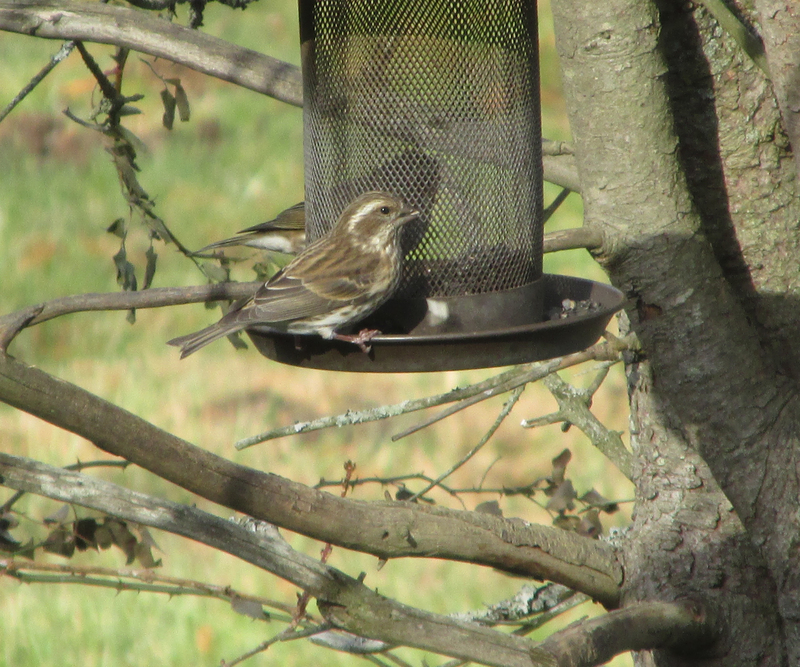 Female Purple Finches visit a feeder. 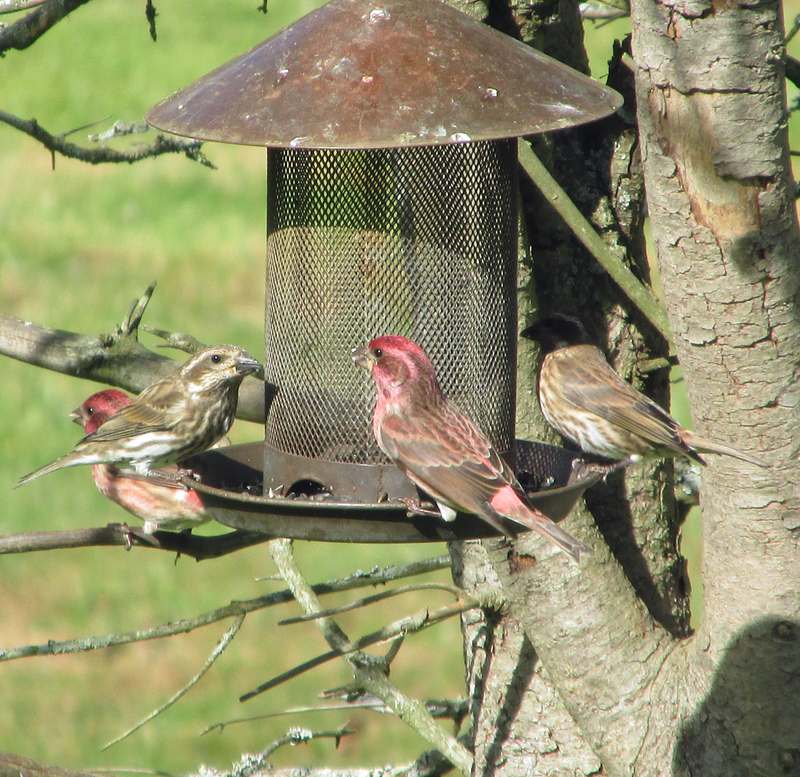 A flock of Purple Finches share space at a feeder. 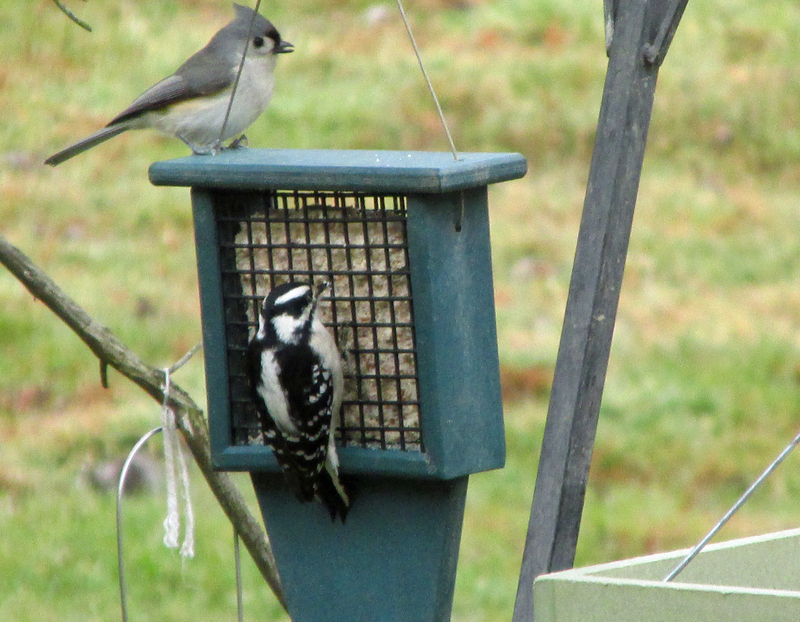 Downy Woodpecker and Tufted Titmouse arrive at a suet feeder. 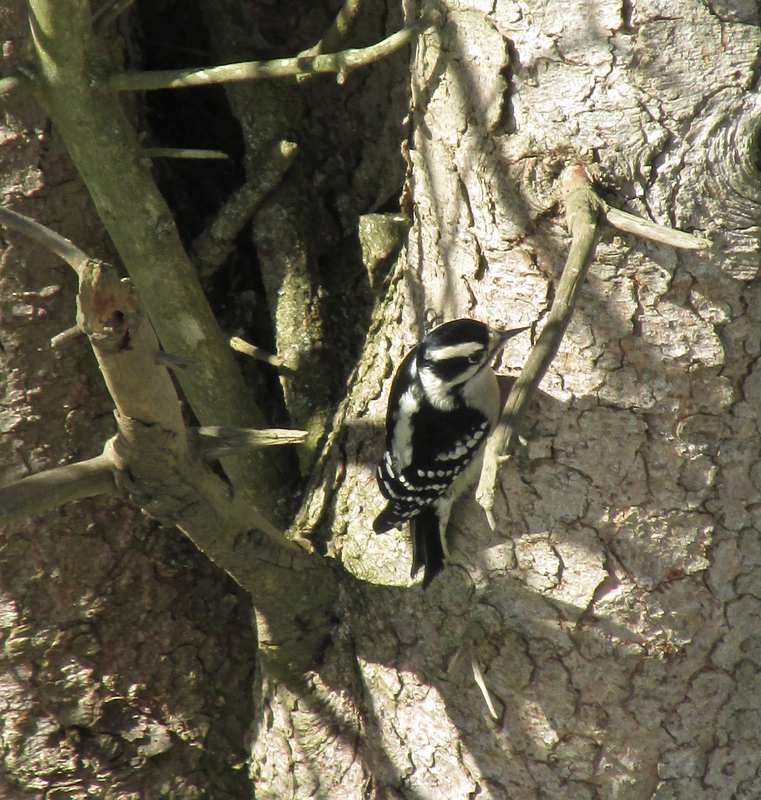 A female Downy Woodpecker climbs on a tree trunk. This entry was posted in Birding, Birds and tagged Birding, birds, Birdwatching, bluebirds, Bristol Herald Courier, Carter County Compass, Elizabethton Star, Erwin Record, Feathered Friends, Our Fine Feathered Friends, Purple Finch, Winter birds on January 18, 2015 by Bryan Stevens.